If you are somewhere into web development, you must have been familiar with UI and UX designs. They are the two undivided sides of a coin. A structured and informative look enhances the user experience whereas an organized and well-designed interface speaks directly to the users’ eyes. These two combine together so that the users can spend more time on a specific page. A well-designed UI/UX design is extremely important for increased retention time. The UI/UX designs act crucial when the matter is about user engagement and attraction for both web applications and the small screened mobile applications. UX is well focused on the evolvement of the user experience whereas UI enlightens the performance and look of your app. The appearance and the look of an app include UI elements, colors and fonts. These elements add trendiness and glamour to your app. The UI/UX designs attract more potential customers and get back the best return on investment as well. How does UI/UX design influence your business? Your apps and website truly represent your brand. It also helps in establishing your brand in the relevant market. This is why it is mandatory that you create a simple, clean, intuitive and attractive UI design which gives a tempting user experience. If your UI/ UX designs feature through your existing budget, it will surely help your business in a getting a boost in future. A good and attractive UI/ UX design is something which fortifies customer loyalty. Even your previous clients will make a return and purchase your products and services. The main aim of UI/ UX design is to present a well-maintained design so that their customers can easily navigate through the websites as well as the applications as quickly as possible. If not, they will easily shift towards your competitors. Remember that if your users will not be able to interact with your website or will note easily grasp how to use it, they will stop using your website. A good UI/ UX design will help you in gaining the confidence of your customers. If you keep them happy, they will always be buying your services and products. Your customers will start losing trust in your brand if your website is chaotic, dirty, cluttered and hard to navigate. This is where the UI/ UX design works. It not only provides an enhanced browsing experience to the users but also makes your business trustworthy and reliable. According to a recent research, it has been found that the attention span of a user in short and that is the only time you need to grab their attention and hold it. If you are an entrepreneur and looking for brand recognition, UI/ UX designs are the best tool you can use. This is because your customers should get a good first impression for your business. Nowadays, the businesses have realized how important UI/ UX designs can be. It delivers impressive results in terms of conversion, sales and traffic. 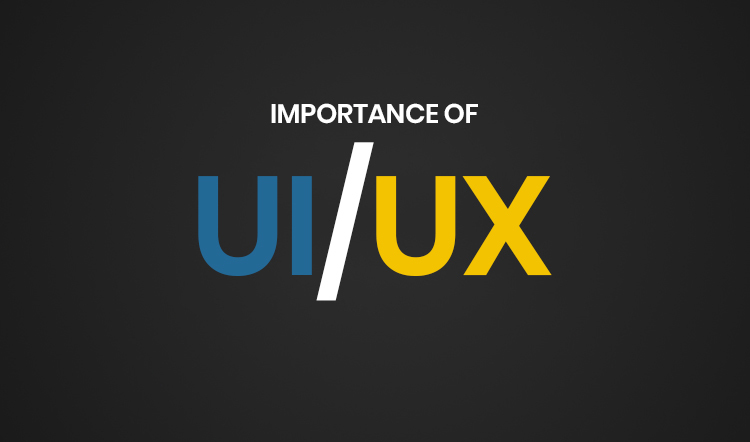 Therefore, it is necessary to invest in some soothing and intuitive UI/ UX designs.